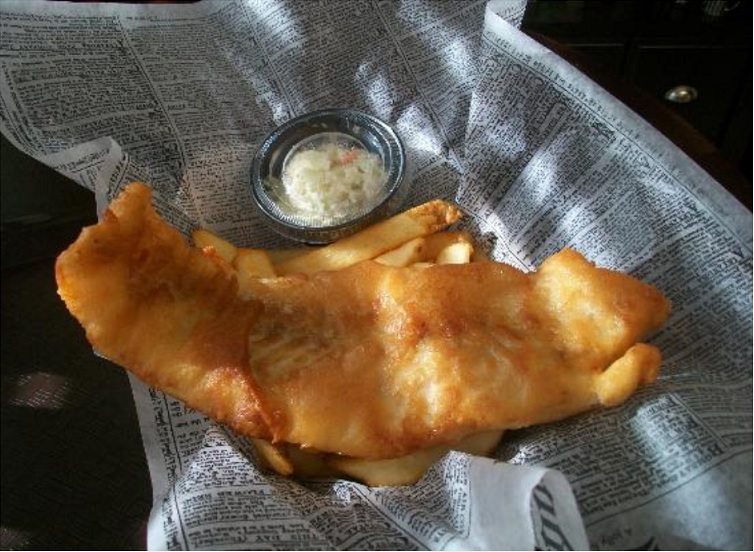 Pete’s Fish and Chips is an authentic British “Chip Shop”, in Cape Coral, Florida. Fish and Chips is a British staple food and is a dish of battered and deep fried cod fillet with double sliced fried potatoes or “chips”. Chips are more satisfying as an accompaniment to fried fish than the more slender “fries” which are served in most US restaurants. Combined with a sparse covering of salt and vinegar, Fish and Chips is a sublime eating experience. Pete’s also offers chicken, shrimp, pies and Cornish Pasties, which are a rare treat. Sit in or take away options are there, and Pete’s offers chilled soda drinks, wine and beers. Fantastic fish and chips. Best meal in Cape Coral.